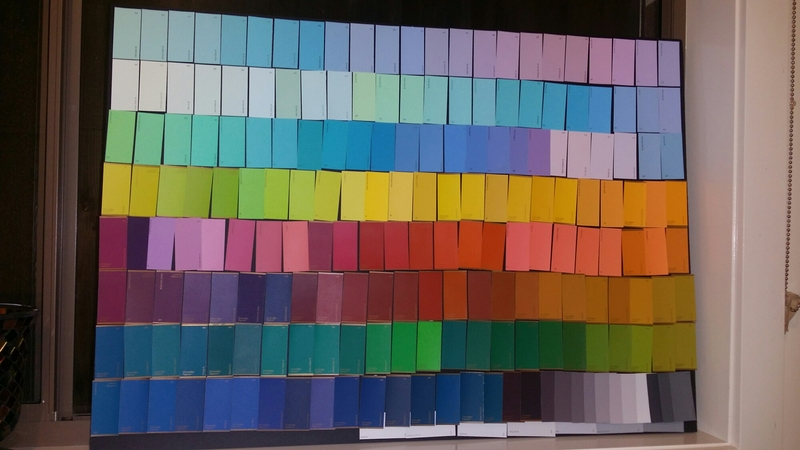 Many years ago (10 to be exact), when I was working in customer service in a hardware store, I collected colour swatches from the paint department. I did get into trouble but I managed to collect every single colour available! Ten years later and I still have the collection and this past weekend I finally did something about them. 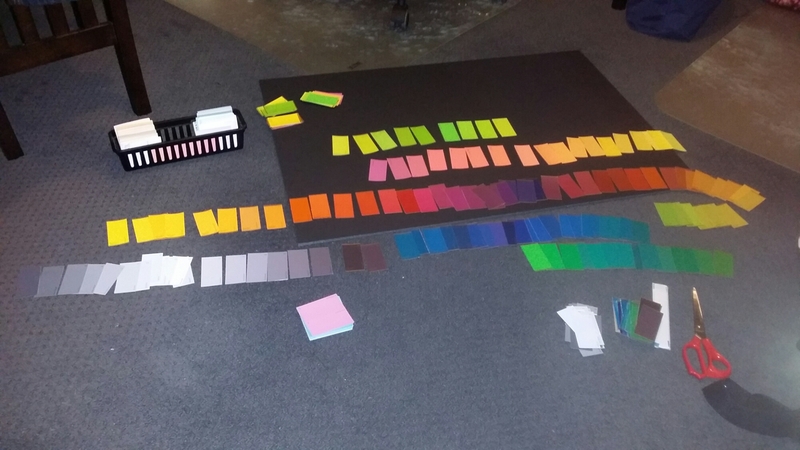 I created an inspiration colour board laying out the colours so they can be clearly seen. I intend to use this as a starting point for future projects – especially my canvas wall art creations as well as Indian style and fashion. Sorting out the swatches. I wanted to be able to remove and reinsert swatches for idea generation so I used (a lot of) blue tack for this project. This entry was posted on August 22, 2016 by PreetStyle in D.I.Y. Art, Design, Indian Chic (Fashion & Style), inspiration and tagged colour board, fashion, inspiration.